This contest might sound strange at first, but chances are it will grow on you. 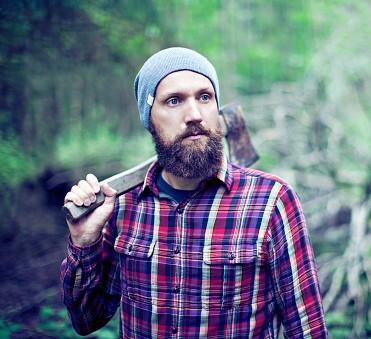 LakewoodAlive has unveiled details regarding the Epic Beard Contest, which will serve as a centerpiece of Loving Lakewood: Lumberjack Bash presented by Geiger’s. Start growing now for the Epic Beard Contest! Lumberjacks and jills are cordially invited to attend the Lumberjack Bash – a fundraiser for LakewoodAlive – on Saturday, Feb. 25, from 7:30 to 11 p.m. at The Bottlehouse Brewery Lakewood (to secure tickets, click here). Upon arrival, however, guests may find themselves in a hairy situation. The Epic Beard Contest presented by Men’s Cuts invites Lumberjack Bash attendees to compete for the opportunity to claim an honor in four bearded categories: 1. Most Unique Beard, 2. Sexiest Beard, 3. Longest Beard and 4. Best In Show. Any Lumberjack Bash attendee is eligible to participate in the Epic Beard Contest, and participation is free-of-charge. Contest registration will take place onsite at the Lumberjack Bash on Feb. 25 between 7:30 and 9 p.m., with judging taking place at 9:30 p.m. The winner of each category will receive a prize, as well as bragging rights worthy of a true lumberjack. Both men and women are encouraged to compete for the distinction of having the Most Unique Beard, as this category rewards creative beards not necessarily comprised of hair. Examples include beards made from yarn, shaving cream or cotton balls. To view the official rules of the Epic Beard Contest, please visit LakewoodAlive.org. Loving Lakewood: Lumberjack Bash is generously supported by the following sponsors: Geiger’s (Title Sponsor) Cleveland Property Management Group and First Federal Lakewood (Platinum Sponsors), Citizens Bank, Cleveland Home Title and M.V.P. Valet Parking (Gold Sponsors), Men’s Cuts (Presenting Sponsor for the Epic Beard Contest), Berkshire Hathaway HomeServices, Brennan’s Floral Gift Shop, Clark Wealth Management, Cleveland Lumber Company, Erie Design, King’s Kitchen, Lanter Legal, Lion and Blue, Moore Yourkvitch & Dibo, NEO Realty Group, Plantation Home, Relief Properties, Ride + Workout, Scalish Construction, Sentry Protection Products and Wegman, Hessler & Vanderburg (Silver Sponsors).